Can North Dakota Solve Its Labor Shortage Problem? | Challenger, Gray & Christmas, Inc.
Can North Dakota Solve Its Labor Shortage Problem? Even with relocation on the rise, North Dakota may continue to have a difficult time finding talent to fill its widening labor gap. As reported by CNNMoney (http://money.cnn.com/2014/03/18/pf/north-dakota-jobs/), North Dakota is launching a nationwide recruiting campaign in hopes of attracting out-of-state workers to fill the more than 20,000 job openings within the state. While the job boom is being driven by the oil and gas industry, job openings are increasingly difficult to fill across the entire spectrum of industry categories, from health care to fast food service. The biggest need may be in housing construction, which so far has been unable to keep up with sky-rocketing demand. Employment expert John A. Challenger, CEO of global outplacement consultancy Challenger, Gray & Christmas, Inc., says relocation to North Dakota is going to be tough sell. Data from Challenger reveals that while the percentage of job seekers relocating for new employment increased in 2013, an average of just 13 percent of those finding new positions last year relocated for those opportunities. “Relocation is often a last resort, as it requires moving to a new area where one’s social and professional network is not established. If the new job does not work out, the person is stuck without much of a safety net. North Dakota, not only has to convince people to overlook that factor, but also the lack of housing, increased traffic, increased crime, overcrowded schools, and myriad other problems associated with such explosive growth,” said Challenger. Who should North Dakota be targeting in its recruiting efforts? What other cities and states may soon be struggling with labor shortages? 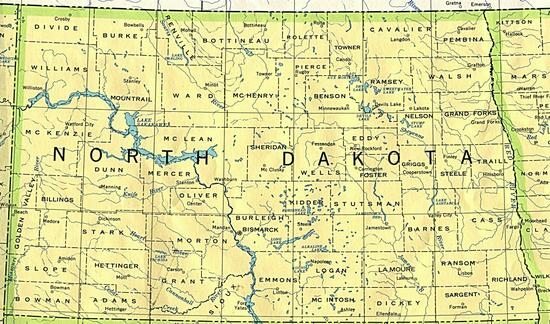 What are the pros and cons of relocation, in general, and relocation to North Dakota, specifically? What factors do job seekers need to keep in mind when considering relocation?